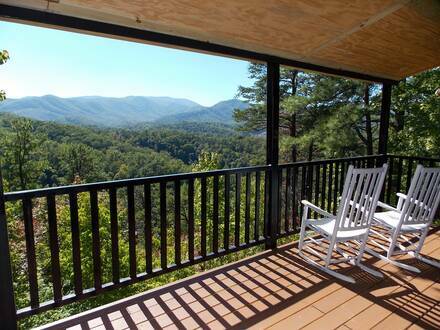 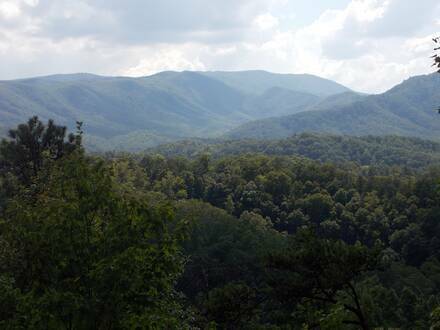 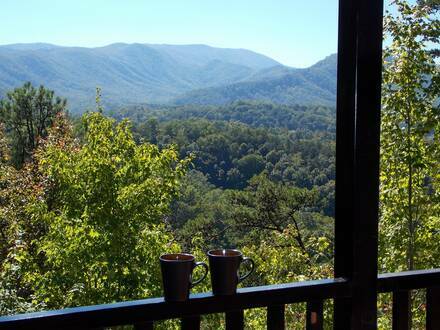 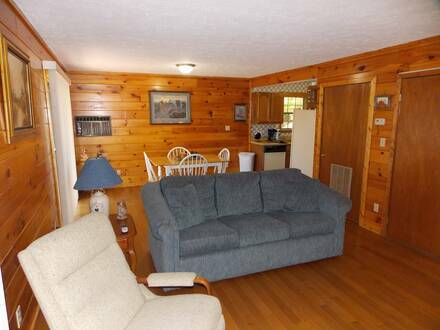 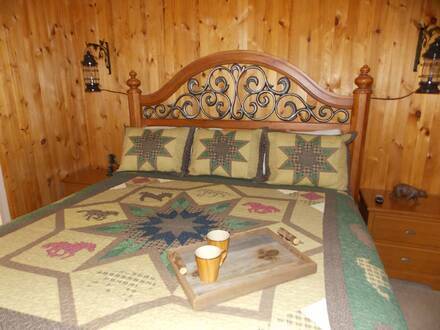 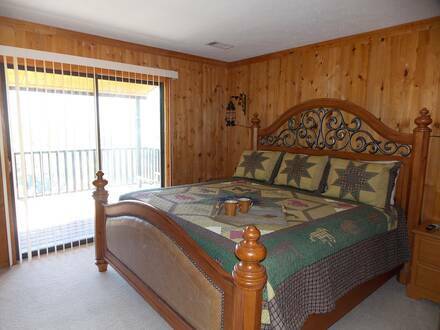 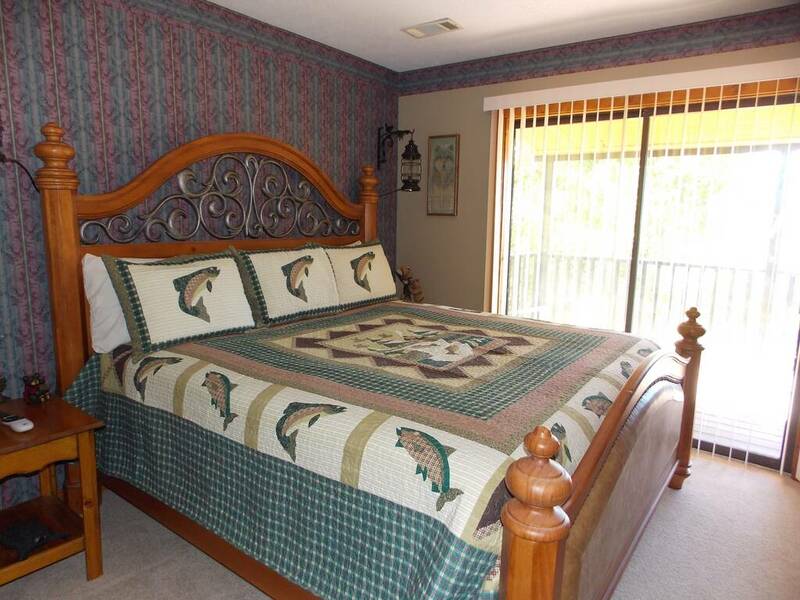 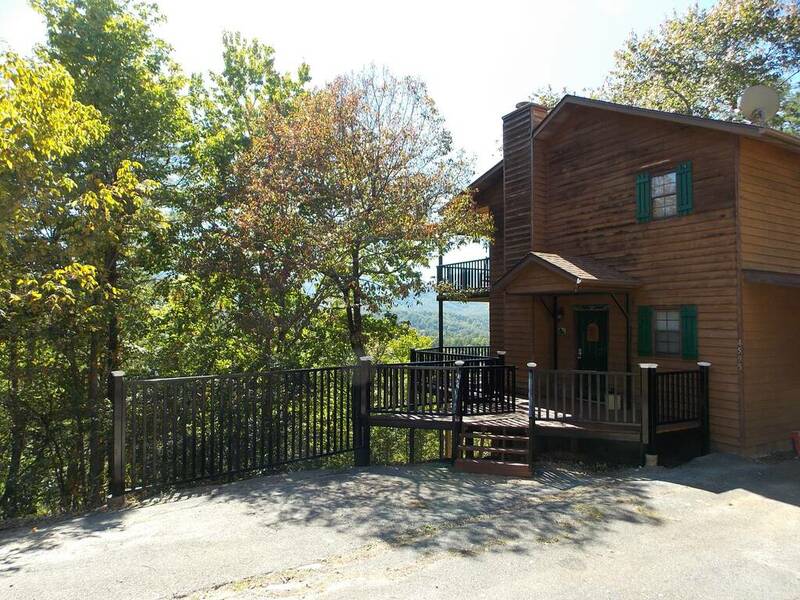 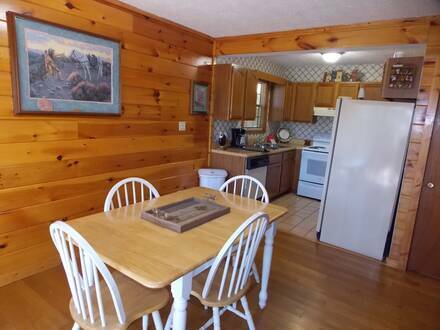 Ascend to Mountain Ridge and let your cares fall away in this spacious two-bedroom cabin in the Pigeon Forge. 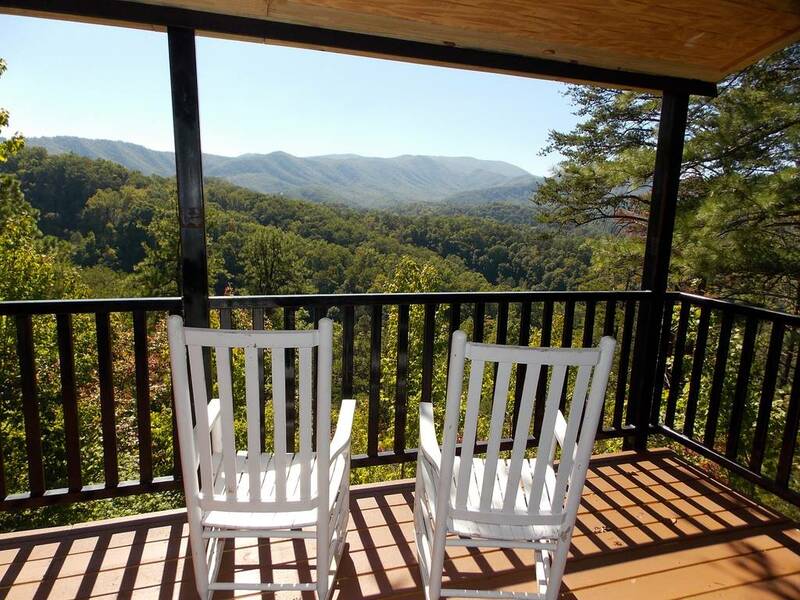 You will not soon forget the jaw-dropping view of the Smokies from your wraparound porch, nor the understated luxury of this cabin. This two-level chalet is great for a pair of couples or a family getaway, with two king bedrooms and a sleeper sofa to easily accommodate up to six. The master suite even has its own private porch. Assemble in the common area and watch a favorite movie on the flat-screen television while you warm yourself in front of the fire. 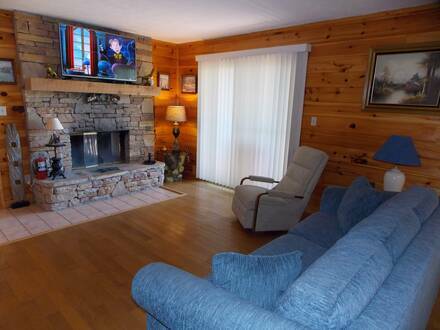 Gather a few logs and build a fire in the wide hearth so that everyone can make s’mores! Enjoy the amazing mountain scenery and fresh air in your own hot tub on the porch. 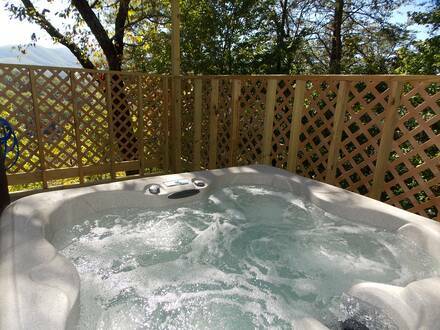 Between the relaxing warm bubbles and views of the sun setting over range after range of the Smokies, you will yourself much more relaxed after a few nights here. 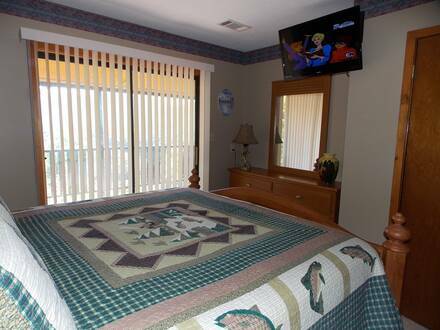 Plan for a larger trip and book nearby Hillbilly Hilton as well, offering extra privacy and space for up to 12 people. 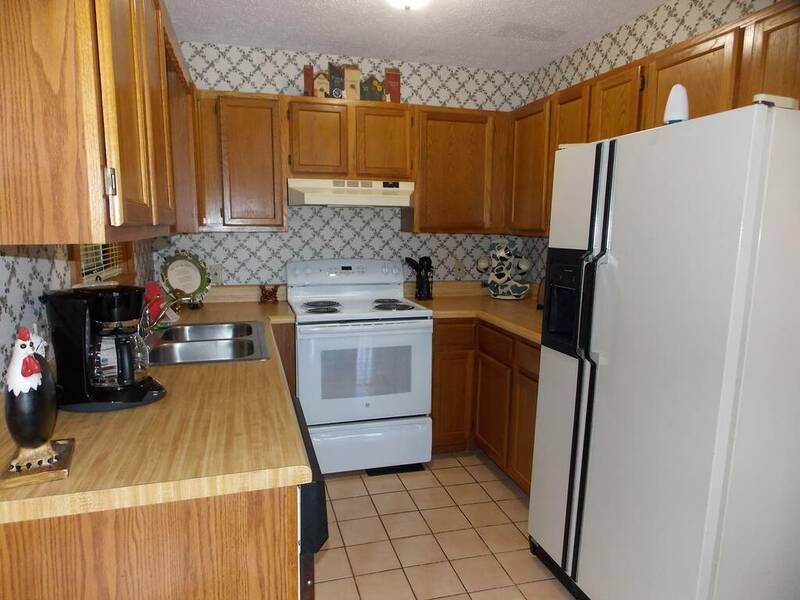 Everyone who stays also receives a free pancake breakfast at Reagan’s House of Pancakes and each of our cabins in Pigeon Forge has its own full kitchen, which makes staying here even more affordable. 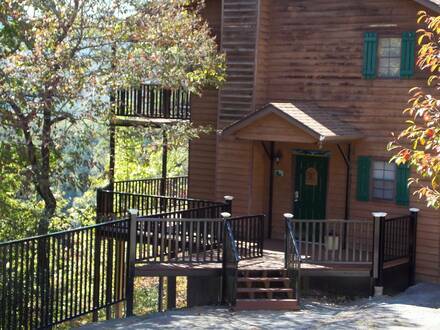 Call today and ask about our specials and discounts on attractions in Pigeon Forge and Gatlinburg!